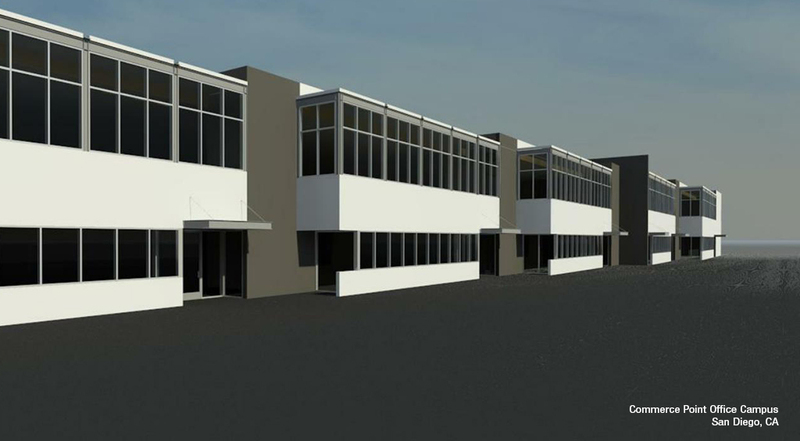 The project consists of the renovation of the Commerce Point Office Campus located on Sherman Street. The Commerce Point is comprised of multiple two-story office buildings, totaling 98,000-square-feet, located at the intersection of Interstates 8 and 5. The project was acquired and the new ownership implemented their plan to reposition the asset in the marketplace. The scope of the renovation and improvement work included the demolition of the buildings’ existing second floor glazing systems, followed by the renovation of both buildings to include a new glazing systems, as well as roof and parapet construction throughout.